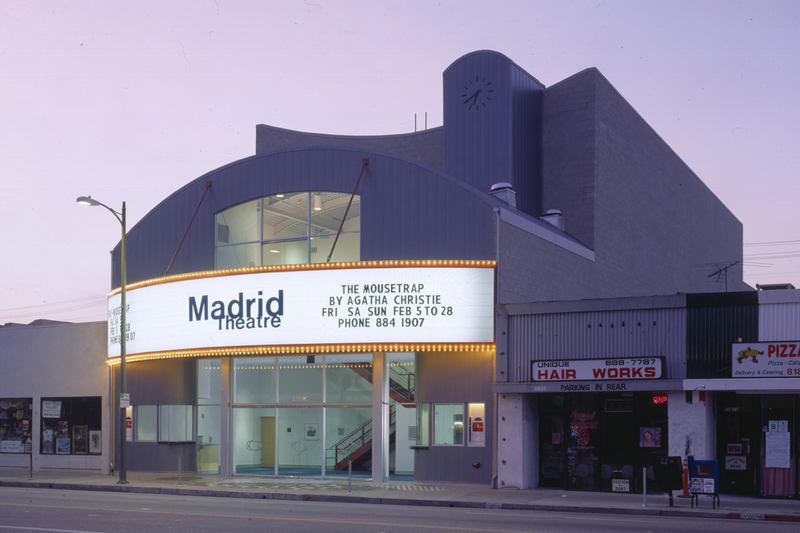 The Madrid Theatre, a premier performance venue located in the highly diverse community of Canoga Park, occupies a prominent spot in a redeveloped part of the city. 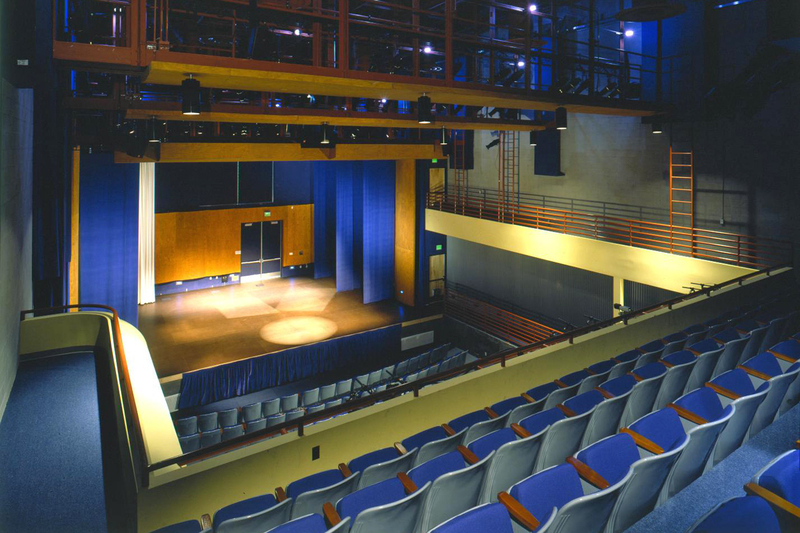 Impressive in its design, the audience chamber houses 500 people for symphony, dance and musical performances and can be sized down to 250 for more modest and intimate productions. Support spaces are a lesson in minimalism due to size constraints and slender site dimensions. The 11,000 sf performance and support space is constructed on a 50 x 140 ft. site. 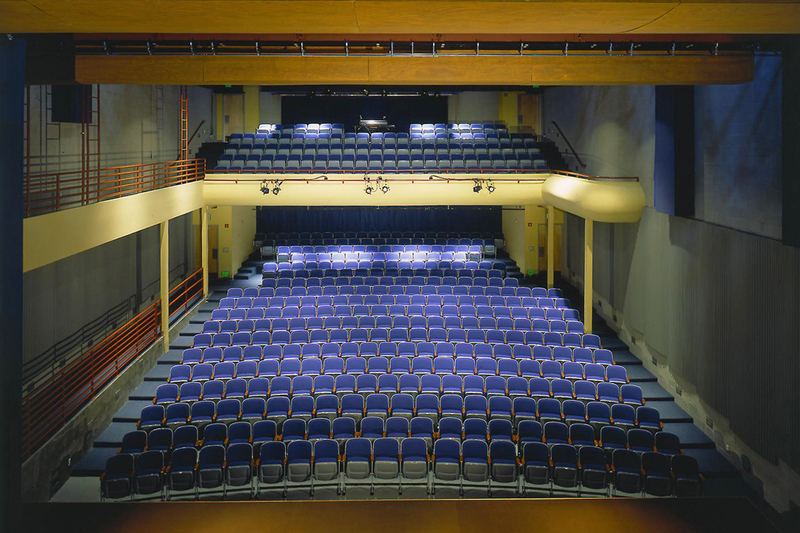 The theatre is designed to provide optimal performance with variable acoustics. 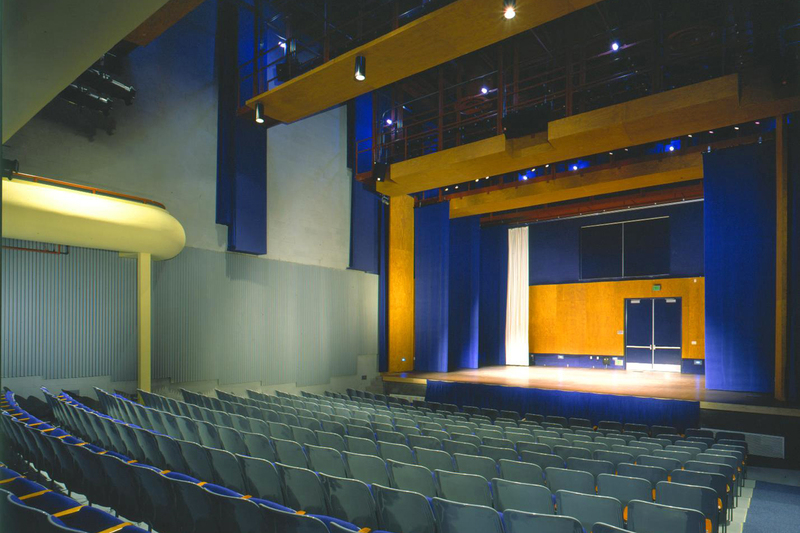 A catenary curve in the roof/ceiling optimizes sound disbursement while the use of moving, pocketed drapes allow for variable acoustics. 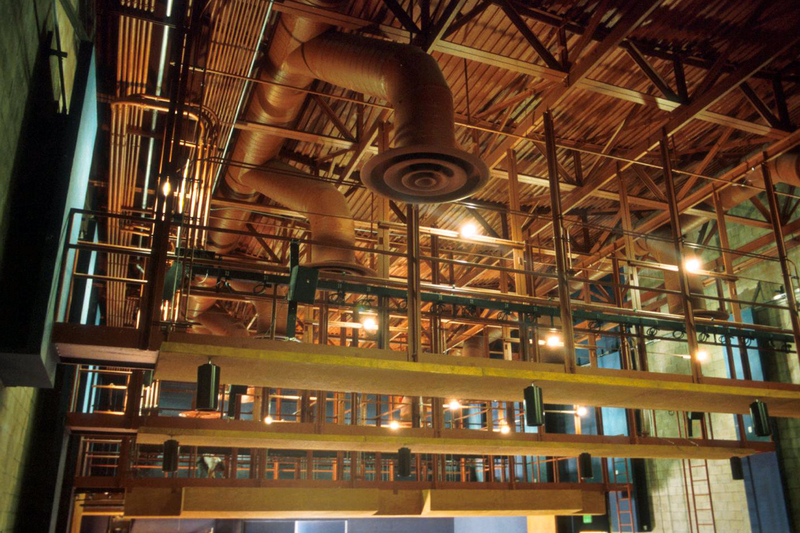 The side walls are scalloped with corrugated metal panels to prevent parallax, and light bridges, catwalks and a unistrut grid allow for full stage lighting flexibility and for spot flying of sets. The stage is configured as an orchestra shell that can also receive sets.